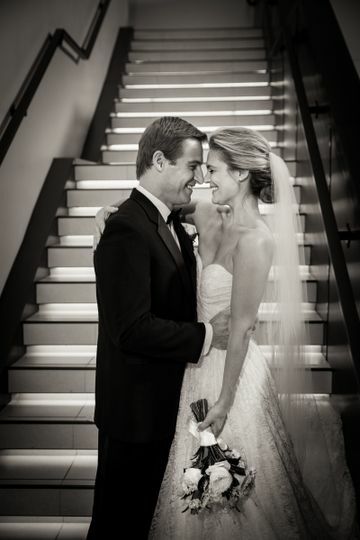 The Hyatt Regency Bethesda is a hotel in the Washington, D.C. area where couples can enjoy an elegant or modern wedding. 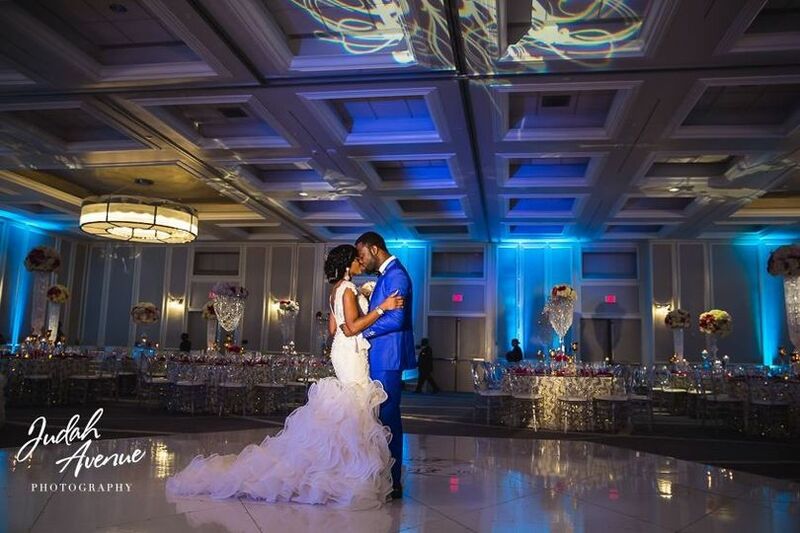 This hotel combines the best of both elegant and contemporary styles with their massive 7,200 square-foot ballroom. 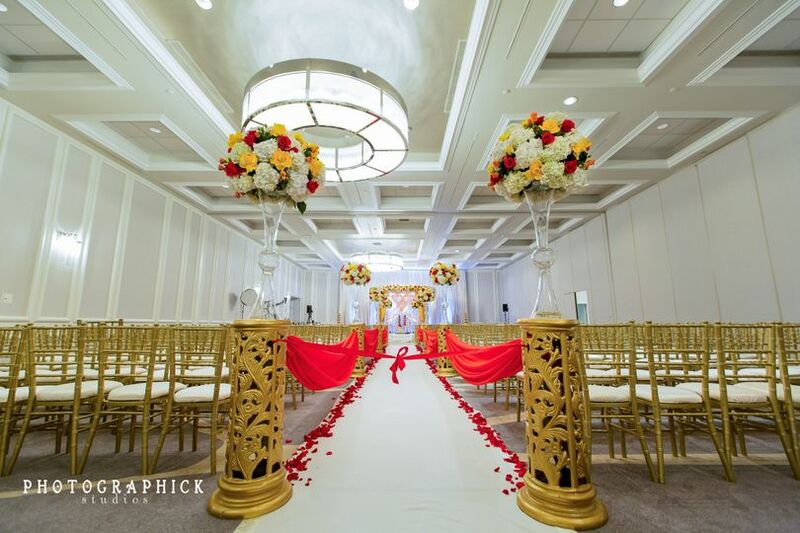 This venue is located in Bethesda, Maryland, just 17 minutes from the University of the District of Columbia. 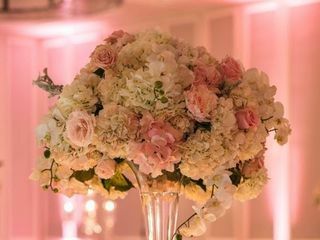 Couples can invite up to 500 guests to join their wedding celebration at the Hyatt Regency Bethesda. This hotel's massive Crystal Ballroom features an expansive floorspace and elegantly coffered ceilings overhead. 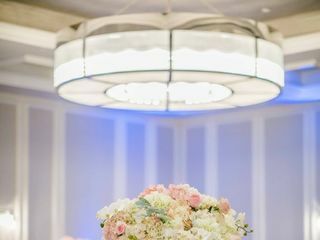 Adjustable lighting in the form of wall sconces and large circular light fixtures overhead ensure that the illumination in the room is appropriate for the mood of the wedding. 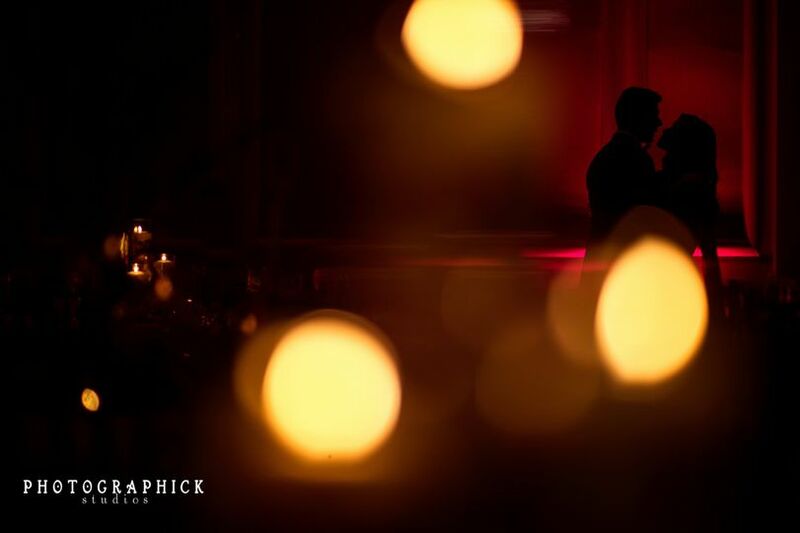 Dinner can be brightly lit before couples congregate on the dance floor in the shadow of colored uplighting. 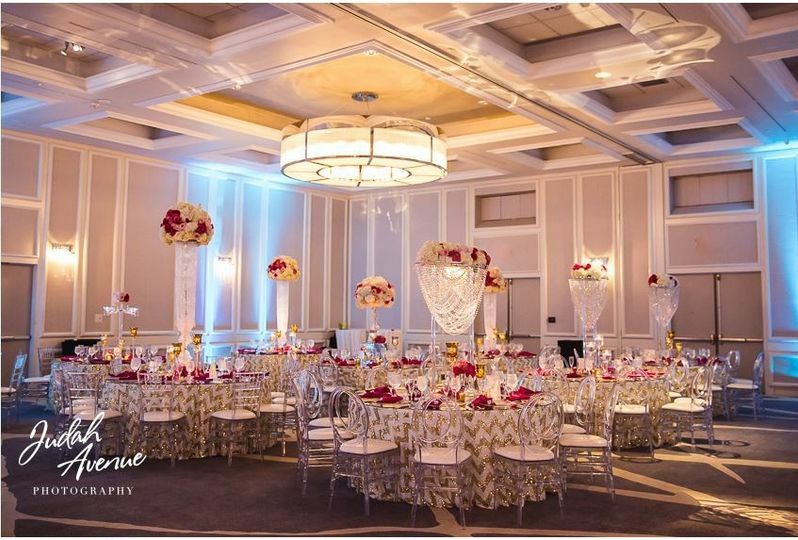 This ballroom can be divided into smaller spaces to accommodate smaller receptions or other wedding event needs. The hotel also offers a rooftop terrace for wedding ceremonies, receptions or cocktail hours. This gorgeous outdoor space provides views of the the surrounding skyline. Couples and guests needn't worry about travel arrangements following their wedding celebration at this hotel. Just an elevator ride away they'll find guest rooms and suites where they can spend the night. The rooms in this hotel feature spa-inspired bathrooms and sleek decor throughout the space. Comfortable bedding and furniture, along with large windows, make these rooms cozy yet sophisticated. 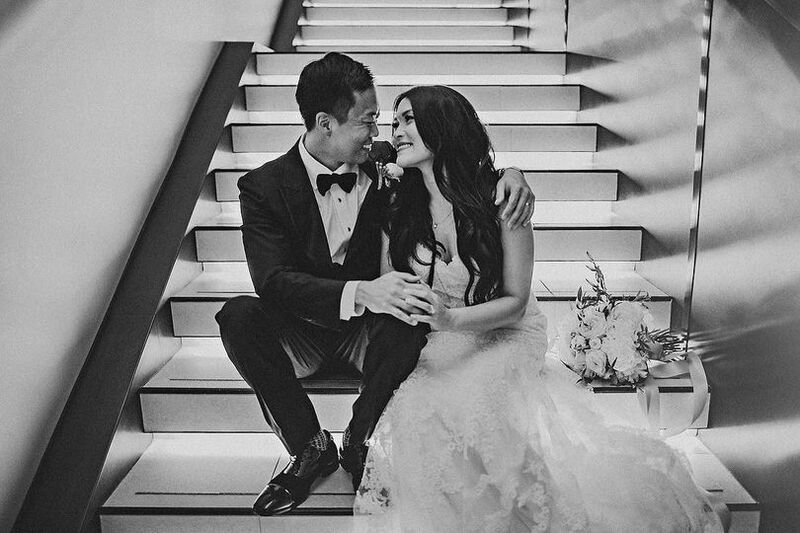 My husband and I recently held our wedding at the Hyatt Regency Bethesda on October 21, 2017. 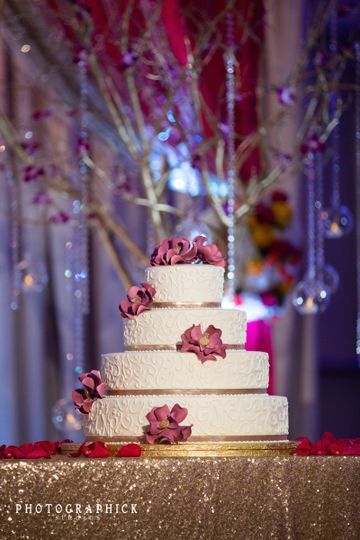 We absolutely loved the Hyatt and are beyond happy we held our wedding reception there! From the beginning, we worked closely with Sydney and team. 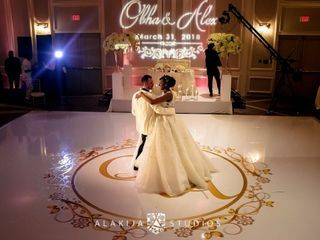 From the first meeting, Sydney was beyond helpful and I could tell not only loved her job and helping others plan and execute their dream day, but she also cared about us as a couple and what are expectations, needs and visions were. We continued to work closely with Sydney for almost all of 2016. I had questions all year and planned numerous visits to the Hyatt. Each email and request was met with responsiveness and positivity. I never felt like I was asking too much of Sydney and team and always left with my questions answered and feeling comforted. I cannot thank the Hyatt enough, especially Sydney and Shelley, for all they did to make our wedding so special and amazing. If I could do it all over again, I would without changing a thing. It was the best day of my life and Sydney was a huge contributor. 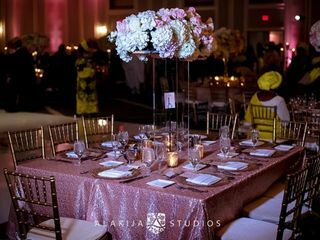 The quality of service, especially food, drinks, décor, the ballroom (which is so beautifully modern and elegant), the concessions, EVERYTHING! 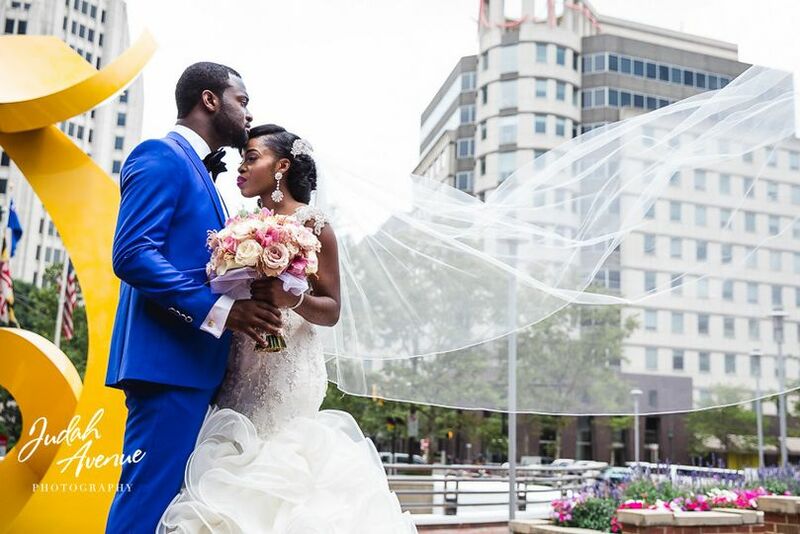 I highly consider for any bride looking for a wedding in Maryland, especially close to DC. After the wedding we all made our way to the Daily Grill where the party continued. The Presidential Suite was simply beautiful and enormous. I got ready there with the bridesmaids and it set the tone for an amazing weekend and wedding day. Sydney and Yetta sent lovely cards and champagne to the room which was so nice, thoughtful and made me feel so special. The team there is top notch and I cannot thank them enough. 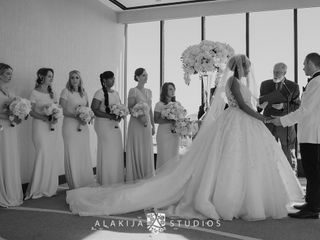 My client had their 400 guest wedding here on 3/31/18 and the Hyatt was wonderful. The provided so much support to the vendors as well as the bride, groom and their parents. They provided accomodation for the couple and their parents. The hall was also really nice and needed not too much decor to transform the space. It was truly a beautiful event and i would recommend this venue for more events. I'd Choose This Venue Every Time! 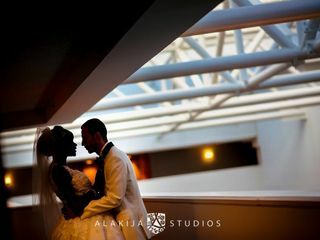 My husband and I started planning our wedding in July and found The Rooftop at the Hyatt Regency Bethesda. We planned to see the venue and we were astounded at how beautiful it was! So many windows around the room that we ultimately fell in love with it that day and decided to have our wedding here. We worked with Shelley Belk, and wow is she amazing! She helped me out a lot as my husband and I are both busy Army medical students. She went above and beyond everything I could imagine and made everything so easy and stress free. She helped me pick out the menu, order the rentals, and run day of coordination -- she does it all, there was no need for a wedding planner! We had both our ceremony and reception at the Rooftop and the team flipped the room very quickly. The team who works with Shelley for our wedding is incredibly professional and nice. 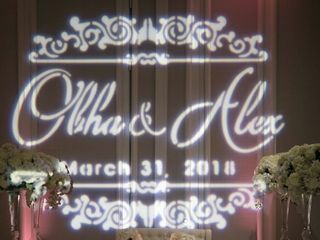 I could tell that they really wanted us to have a great wedding day. If I were to get married again I would choose the rooftop every single time!